First it's important to note that Ricky's team have denied he is getting back in the ring. His agent, Paul Speak, told Sky Sports: "...he is just keeping fit and has not made any decision on a comeback. There's no story." Now this doesn't rule out a comeback, but it isn't embracing one. Speak brings up a good point too; Ricky is just keeping fit. He is an ex-athlete and training is in his blood. It is a habit that is scratched deep into his core. After his retirement Ricky went off the deep end and abused his body, but it was inevitable he would want to get back in shape again. As for November 24th, let's have a look at it closely. The first thing that sticks out is that Ricky fought Paul Malignaggi at the MGM Grand nearly five years ago to this date. Malignaggi is enjoying himself at the minute, having recently won the WBA Welterweight title. The anniversary of their fight being November 22nd and Ricky's supposed return being in November 24th may have some significance, especially since every single Hatton-return rumour names Paul as his first opponent. It is also worth noting that no other big-name fights are booked for November 24th. Carl Froch fights the week before, but the 24th doesn't have any other fights to compete for our attention. More importantly, the Manchester Evening News arena is free that night. The Killers grace the stage on the 13th, and Rob Zombie & Marilyn Manson will be scaring the crap out of everyone on the 27th, but Hatton's people can book the MEN for the 24th. It's likely any Hatton comeback will be at the MEN since in his heyday Ricky packed it out. With every big boxing match comes the question "Where will they show it?" 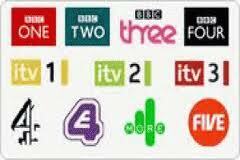 As Ricky is apparently talking to TV channels at the minute, it could be helpful to consider what his options are. First, Sky is a no. Ricky fell out with them after they axed Hatton Promotions boxing shows, a decision made with Sky's new motto in mind: quality over quantity. This is another way of them telling us that they want to pull out of boxing coverage and focus on other sports. Sky aren't in love with boxing. The most preferable option for most people is for Ricky to strike a deal with a terrestrial TV channel. The BBC are out; the Olympic boxing was the first they had shown in years. That leaves ITV, Channel Four and Channel Five. Of these, Channel Five are showing the most promise in terms of boxing. They have struck up a relationship with Mick Hennessey and of late have broadcast heavyweight prospect Tyson Fury's fights. They are making all the right noises in terms of boxing coverage so far, but if their deal with Hennessey is just a tester to see how it goes, they might be scared of taking on Hatton Promotions at the same time. ITV have historically had a lot of boxing coverage, showing fights with Amir Khan, Joe Calzaghe, Naseem Hamed and Chris Eubank in the past. They haven't done much since their last boxing deal with Hennessey Promotions in 2008, but the channel apparently wants to get back into it. A Ricky Hatton mega fight would be perfect for them. I'm nowhere near sold on him coming back, but if it did happen, November 24th at the MEN and broadcast on ITV looks likely. 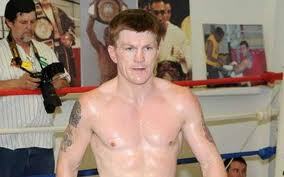 "Ricky Hatton is thinking of making a come back, he must be mad or skint!!" "Ricky Hatton to come back on the Manchester November show that Andrew Flintoff is making his debut on? We will see..."
"Ricky Hatton might be coming back,doubt he'll do good though,hard to come back with a bang when you've retired once."